Foot pain is something with which most Americans suffer, and yet most ignore or have simply surrendered to it. 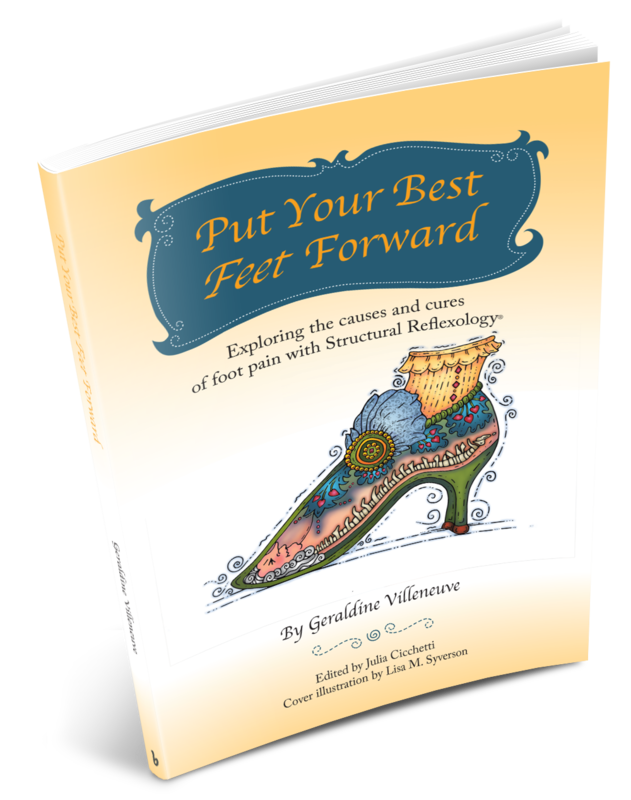 In Put Your Best Feet Forward, experienced Structural Reflexologist Geraldine Villeneuve outlines not just the types of foot pain and their sources, but also how this pain can manifest itself throughout the body. From depression, to lower back pain, to common foot problems themselves, freeing our feet from the shoes that bind them can be the answer for which we’re searching. Villeneuve educates readers on the importance of foot health for that of the body and mind and empowers them to take their health and vitality into their own hands. Put Your Best Feet Forward is for anyone interested in improving health, youth, and vigor. Readers will find themselves saying “Ahhh…” in relief!